Essence Get BIG! Lashes Mascara - Cherry Colors - Cosmetics Heaven! For a long time I stayed clear of Essence's mascaras. Why? Because they would irritate my eyes and no matter what I tried, I would always end with watery/irritated eyes. But then something changed and after a couple of years I decided to give them another chance. 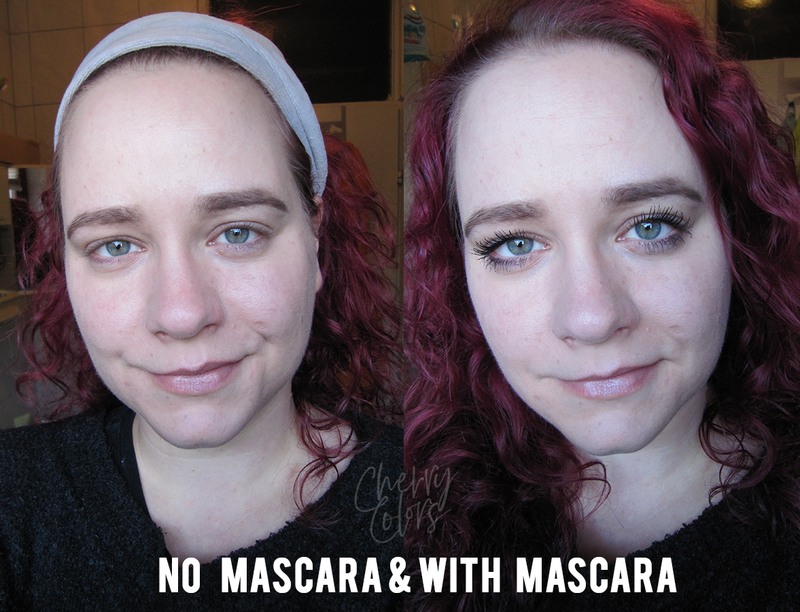 I first picked up the Princess Lashes mascara and after a tube or two I decided to try something else. This time I was testing and using the Essence Get BIG! 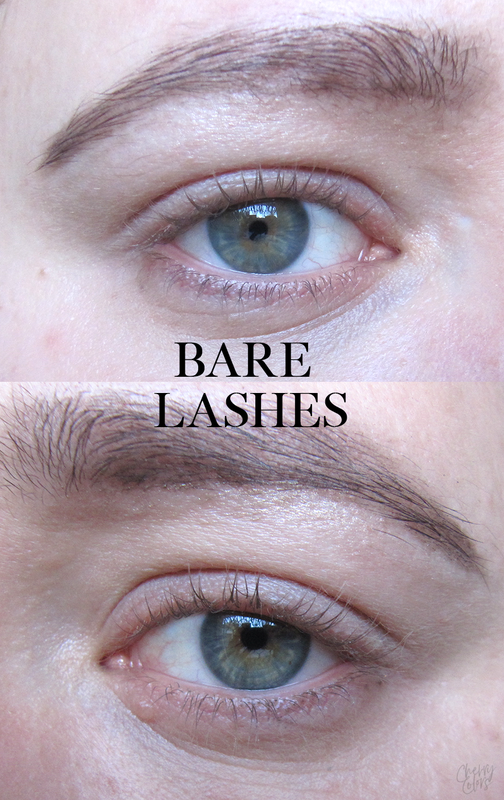 Lashes mascara in the waterproof version. Why waterproof? Because I have oily eyelids and I wanted to be safe from smudges. Let's see how it went. Sad romantic movie, tears of happiness, traveling sports activities or jump into cold water - waterproof mascara get BIG! 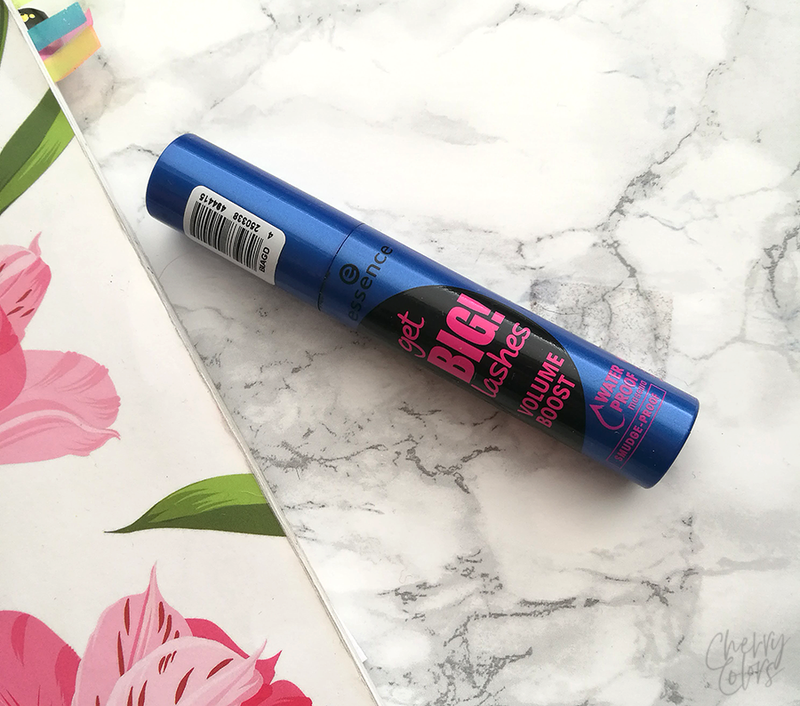 lashes volume boost is the ideal companion on every occasion! offers perfect eyelashes without smudging and conveys an exceptional volume - even when you dive! absolutely reliable styling partner! oftamologically tested. Okay it promises to stay with you. I like that. My lashes are pretty long but they are blond. Even with the right regime they just don't show up unless I use a mascara. Here they are in their bare beauty. I took the Essence mascara and applied one layer. Here's how it looked with it. Because the brush is so big, I managed to poke myself on the upper eyelid once or twice, resulting in the visible mess. 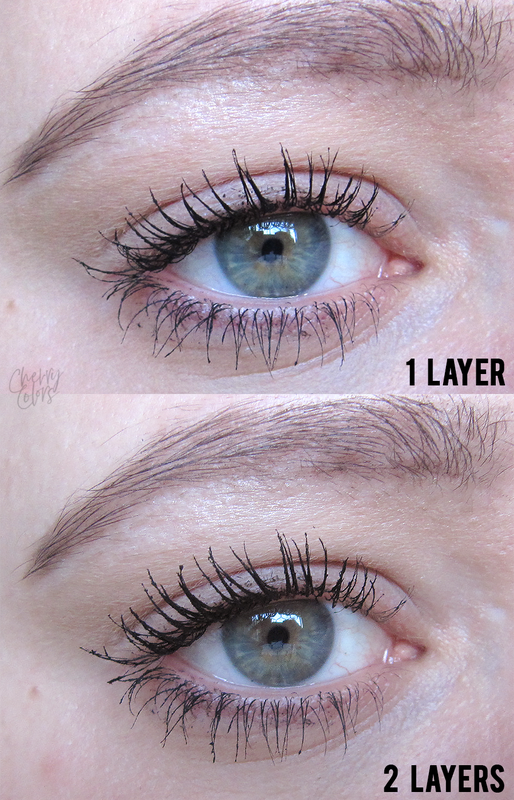 With one layer my lashes are more defined, they get some extra volume and lenght. I like the way this mascara makes them look. Minus the mess. 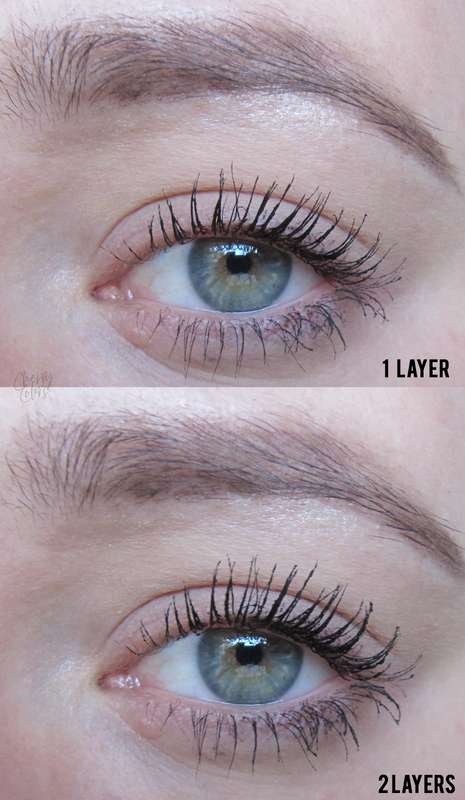 I usually put on just one layer, but this time I decided to go for two. Just to show you guys the difference it makes. The difference between one and two layers is minimal, I can say that there's just a bit more of volume and that's practically it. 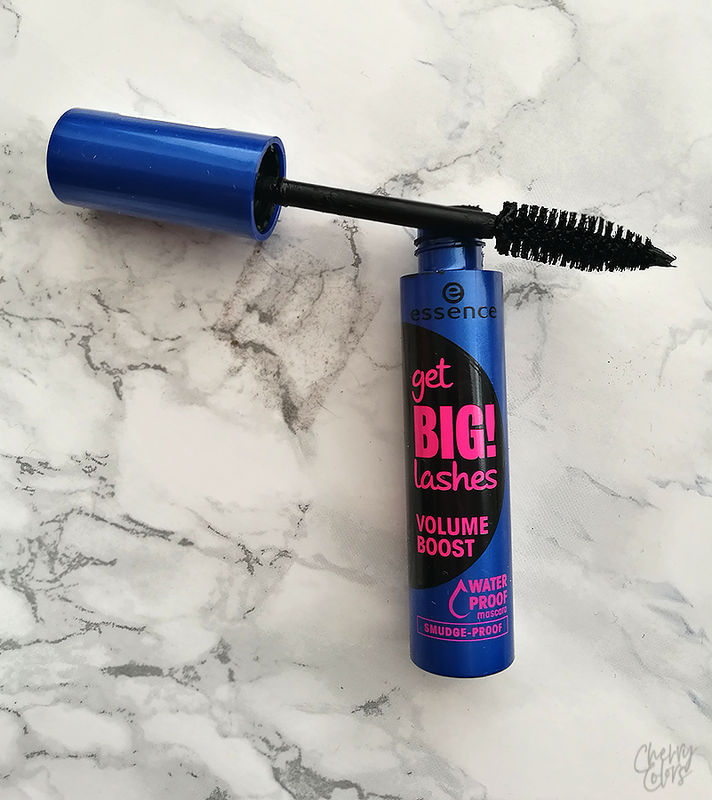 I wanted a cheap mascara that adds lenght and some volume and is waterproof. I got all three in this mascara. And because of that I can forgive the extra big brush with which I manage to poke myself with almost every single use. I love it and I will definitely repurchase it. And because of that I would also recommend it to everyone!